By Little Me Collection, newborn or infant boys swim trunks and stretch rashguard swimsuit set. 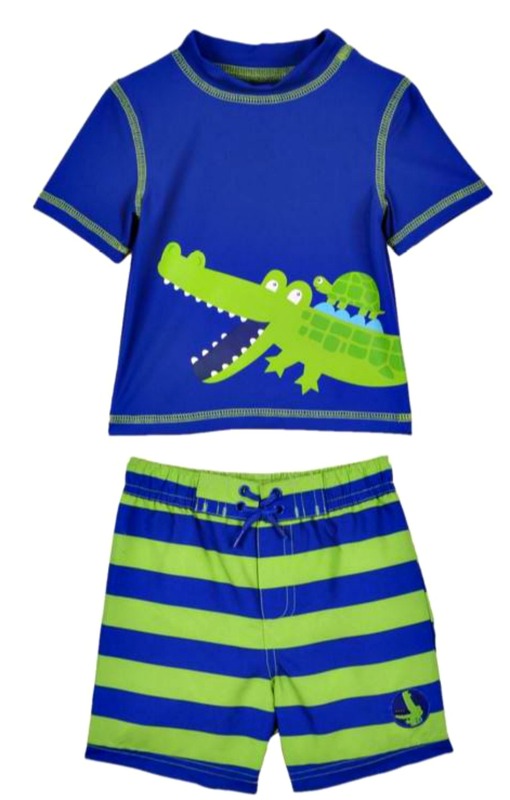 Royal blue short sleeve swim shirt helps protect from the sun and has a fun large crocodile motif. Coordinating blue and green stripe swim trunks with elastic waist complete the look.